Salgótarján is a town with county rights in Northern Hungary. Its population is approximately 40000. It is the county seat and largest city of Nógrád county. The town was mostly built in a modern 20th century style, leaving much to be desired in terms of classical architecture. Nevertheless Salgótarján has many museums, galleries, cultural events, castle ruins, excellent panoramas and several hiking, biking, fishing and hunting opportunities through the forested hills that surround the town. Salgótarján is one of the few planned cities of Hungary in a sense that it was carefully planned from its inception and was typically constructed in a previously undeveloped area. The town received the János Hild Award from the Hungarian Society of Urban Development for the town’s Main Square and its surrounding buildings. Salgótarján already existed in the Medieval period (it was called only Tarján), however it was a small settlement for centuries and it was no different to any other small villages in the region. The word Salgótarján is based on two components, Salgó means “shining” in ancient Hungarian and “Tarján” was the name of a conquering Hungarian tribe. About the mid-19th century numerous coal mines were opened in the area and a period of rapid development was initiated by the new industry. More and more people were attracted to the town and the once village had grown many times its original size in a few decades and it was granted town status in 1922. 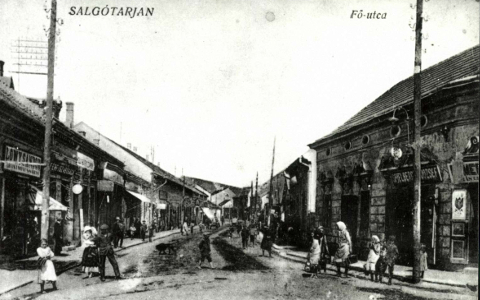 In 1950 Salgótarján became the administrative center of Nógrád county and several villages were annexed to the growing city over the years. 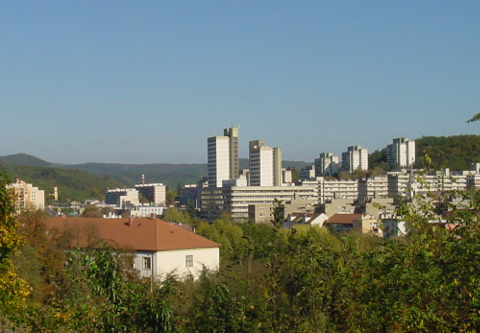 Salgótarján was granted the rank of city with county rights in 1994. Until the late 1980s heavy industry (e.g. coal mining, metallurgy, machine making, the production of glass bottles and window panes) was dominant in the town. In 1975 Salgótarján also formed a sister town connection with Kemerovo, Russia. Even though there are no active cultural, political or business relationships with the distant Siberian town anymore, Salgótarján still has a district called Kemerovo and in turn there is an urban area in Kemerovo called Шальготарьян.